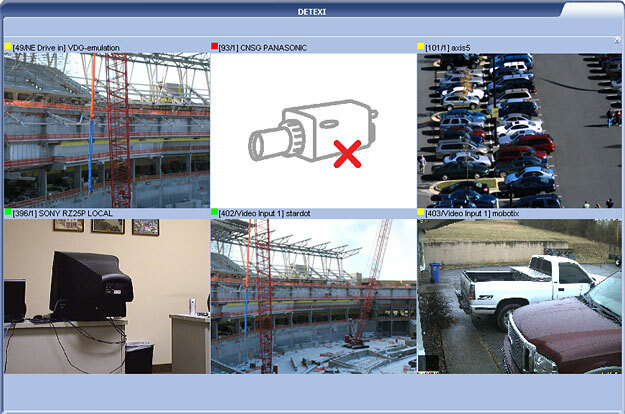 Cameras Live View provides an interface to organize and monitor network cameras and video encoders on your network. 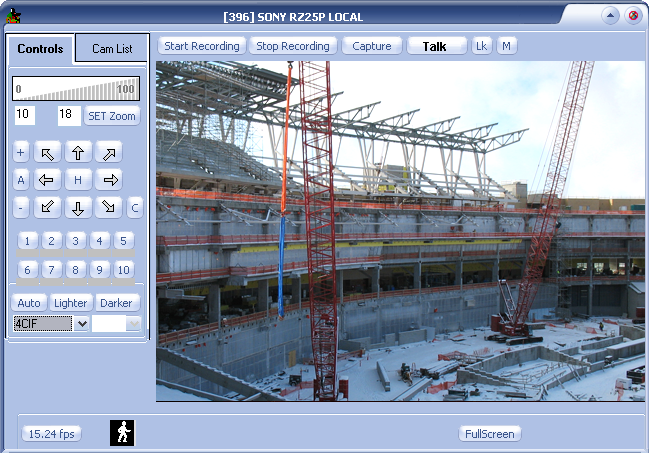 From Live View workspace you can set up view groups, record, and control the cameras’ audio and pan / tilt / zoom. If only one camera was selected in the Start page — Camera List and GO button clicked, the Single Camera View is launched with live video streaming from the selected camera. The Single Camera View can also be launched from the Multi-camera View for any camera in the group via the GOTO option in the right-click menu. If more than one camera was selected in the Start page — Camera List and Go button clicked, the Multi-camera View is launched with live video streaming from the first selected cameras (up to thirteen ). The Group Live View dynamically sizes and tiles the cameras view to fit all selected cameras with the least wasted space.